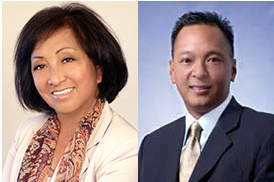 SAN FRANCISCO, CA--(Marketwired - Apr 15, 2013) - McGuire Real Estate proudly welcomes longtime real estate professionals Tessie Ochoa and Dave Ochoa to its Elmwood Office, located at 2991 College Avenue in Berkeley. A longtime Rockridge resident, Tessie has been in the real estate business for more than 30 years, building loyal and trusted relationships with many clients who've over the years become close friends. Tessie provides the kind of professional assistance that buyers and sellers need to compete in today's complex and dynamic housing market. Even after three decades in the business, she continues to be passionate and enthusiastic about her work. Tessie Ochoa is also a member of the Council of Real Estate Brokerage Management (CRB), and a licensed member of the National Mortgage Loan System & Registry (CA-DRE/NMLS Lic.# 249123). Dave Ochoa has sold residential real estate in the Bay Area for more than 15 years. He began his career in real estate and finance in 1996 with First California Realty and Home Loans in Oakland, Calif. Dave has successfully weathered a variety of market conditions over the years, with each climate bringing a new set of unique and challenging experiences. He's regarded by clients for his strong attention to detail and powerful negotiation skills. Before representing homebuyers and sellers, he worked at Hewlett Packard where he managed hardware support teams in the Silicon Valley. Dave attended San Francisco State University and currently resides in Piedmont. McGuire Real Estate has been an integral part of the real estate scene in the San Francisco Bay Area for over 90 years. A mid-sized, regional boutique, McGuire specializes in luxury real estate but applies the highest standards of service to properties in every price range, and to every client. Its customer first philosophy and local focus has proved to be a winning formula for this Bay Area real estate leader. McGuire's affiliation with Luxury Portfolio successfully connects its clients and agents to a worldwide marketplace. McGuire operates three offices in San Francisco, one in Marin County, one in Burlingame serving the Peninsula, and one in Berkeley serving the East Bay. To learn more about McGuire Real Estate, contact us at clientcare@mcguire.com, 1-800-4-RESULTS or visit mcguire.com.